Home Blogging tips How to speed up WordPress blog with W3 Total Cache? 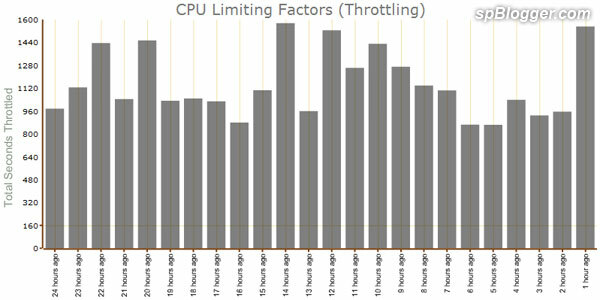 As I said, HostMonster and Bluehost are famous with CPU Throttling. Therefore, a WordPress cache plugin is a must installed on their hosting. My account got suspended even I am using WP Super Cache for quite some time. After do a comparison between WP Super Cache and W3 Total Cache, I decided to use W3 Total Cache as it is better than WP Super Cache. By the way, I enabled database caching via disk. It does reduce some CPU resources on HostMonster. But it can’t help much if your visitors or yourself is ‘touching’ DB server directly by posting comments or editing posts. As you can see picture above on the last 1 hour, CPU usage spiked because I was replying few comments. Overall, W3 Total Cache is a must installed plugin on WordPress blog. Not perfect but worth to install. And do tweak it until you get the best performance out of it. Download W3 Total Cache WordPress Plugin here. Previous articleWP Super Cache vs. W3 Total Cache ~ Which one is better? Next articleHow to speed up WordPress blog with wp-config.php tweaks?